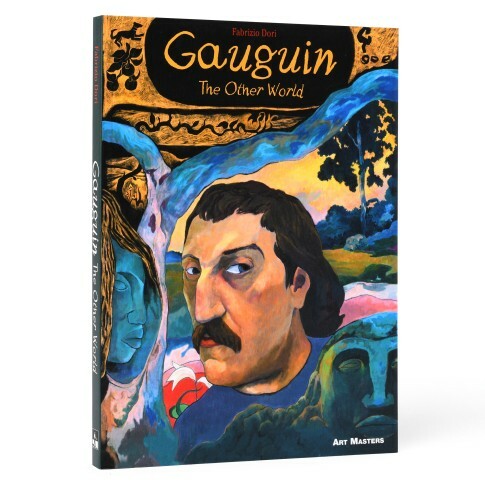 Gauguin: The Other World captures the astonishing life of a man who was by turns a globetrotting sailor, a brilliant stockbroker and an outcast painter. Fabrizio Dori paints a balanced and absorbing portrait of a fearless artist and flawed human being whose all-consuming passion - for art, for women and for himself - destroyed everything in its path. In 1891, Paul Gauguin arrives on the French Polynesian island of Tahiti. In this lush paradise, he is liberated from the concerns of the city-dwelling European. He is free: to love, to sing, and to create. Gauguin's primitivist painting won him few admirers in his own lifetime, but his radical break from Impressionism would pave the way for a new generation of artists, among them Pablo Picasso, Joan Miró and Henri Matisse. Engelstalig stripboek, paperback, 144 pagina's. Met prachtige illustraties in intense kleuren, die doen denken aan Gauguins kleurenpalet.